You need potential clients to recognize your name whether you are a newcomer to your trade or you are an established Casselberry contractor. Wherever you park or drive your work vehicles, vehicle wraps are the smart way to catch eyes and build your enterprise’s name recognition. 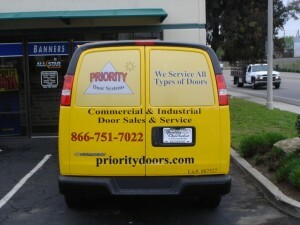 The best contractor vehicle graphics in Casselberry FL allow you to take your message to all parts of the city. This is in stark contrast with billboards, which rely on consumers to drive by. 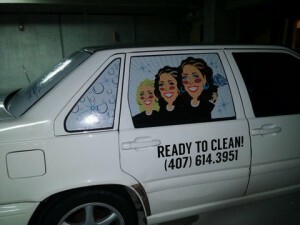 But, where can you get vehicle graphics that will help you stand out? We will answer that and more in today’s blog. When shoppers are looking for a quality sign shop, they typically begin their search on the Internet these days. This usually takes them to a website for an online-only sign company that puts more money into showing up high in the Google search results than into buying the right equipment for producing attractive vehicle graphics. Nonetheless, these sites can generally offer you a price that is lower than what you might find at local shops. But, what is covered in that price? 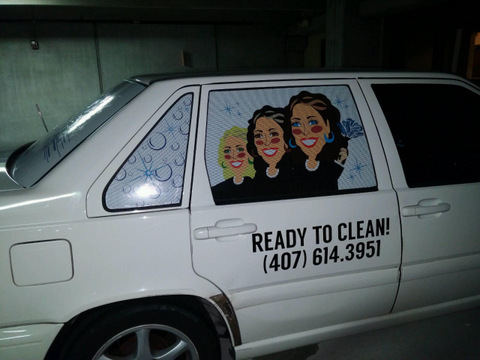 A sign maker off the web might be able to design, print, and mail your vehicle graphics to you, but all of their work will be for naught if your wrap is not installed correctly. Wrap installation is an art that requires years of experience, the right tools, and a climate-controlled garage. If you are lacking in any of these departments, your wrap will have a short lifespan, and it will never look its best. A local sign shop can provide these installation services. When you are shopping around for a sign company, look for a shop that offers great customer service. Do they promptly return your calls? 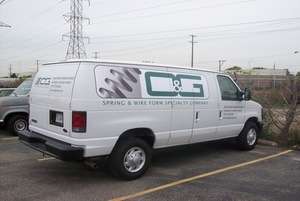 Do they listen closely to what you envision for your contractor vehicle graphics? Do they involve you in every step of the process? If you answered “no” to any of these, you may want to continue your search. At Citrus Sign Studio, we work with you every step of the way. From the initial consultation and design of the wrap to installation and any follow-up maintenance, we keep you in the loop. In addition, our shop is full of the latest equipment. You can come by and check it out! We Love Making the Trip to Casselberry! From our headquarters in Orlando, we enjoy making the trip up to Seminole County’s Casselberry for projects. Though the city has a modest population of 26,707, it has a lot going for it. There are big events all year round, including the Hot Rods and Rock N Roll Car Show, the Craft Beer & Blues Festival, the Tree Lighting Ceremony, Art and Music in the Park, and much more. There are also several contractors serving Casselberry, including Deco Gloss Refinishing, T & T Construction, Innovative Renovations, Diversified Restorators, and many more. From Semoran Skateway and Casselberry Exchange to All Faiths Memorial Park and Lake Howell and every place in between, we are proud to serve Casselberry. If you are in need of contractor vehicle graphics for Casselberry, FL, please consider Citrus Sign Studio. Contact our friendly professionals today for a free estimate.